Newest Edition Now Available - In Stock! Following the success of Charley Harpers Whats in the Woods?, Pomegranate continues the Nature Discovery Book series with this journey through a rain forest. Zoe Burkes rhyming text introduces young readers to thirty different species of rain-forest dwellersbirds, butterflies, lizards, monkeys, and more. All are depicted with colorful images taken from Harpers painting Monteverde, illustrating the various creatures inhabiting Costa Ricas Monteverde Cloud Forest Preserve. The entire painting is reproduced on a foldout page at the end of the book, with a key identifying all the featured creatures. Besides being fun to read, Whats in the Rain Forest? provides a great opportunity for children to learn about nature while also seeing how an artist interprets its diversity and beauty. The second in Pomegranate's series of Charley Harper Nature Discovery Books, What's in the Rain Forest? offers a unique opportunity to learn about nature and to examine how an artist interprets its details, beauty, and wonder. Published by PomegranateKids ®, an imprint of Pomegranate Communications LLC ISBN: 9-780764-96584-5 Size: 6-1/2 x 6 inches Hardcover smyth-sewn casebound book, with jacket - 34 Pages - Fully illustrated in Color. Hike the American desert in the fourth book in Pomegranates Nature Discovery Book series. Charley Harpers Whats in the Desert? explores a surprising abundance and variety of flora and fauna. Zoe Burkes rhyming text introduces young readers to thirty-five different denizens of the desert from the Gila Monster to the Gila Woodpecker, the Cactus Wren to Cactus flowers. All are depicted with colorful images taken from Harpers painting The Desert, originally featured on a poster commissioned by the US National Park Service. About the Artist Charley Harper (American, 1922-2007) made paintings filled with color, motion, and fun. His careful study of each creature helped him simplify its form so that its unique personality shone through. His work has been treasured by art and animal enthusiasts for decades. About the Author Zoe Burke is a mystery and childrens book writer. She is the author of two books in the Annabelle Starkey series, Jump the Gun and No Gun Intended (Poisoned Pen Press, 2013, 2016) and four books in the Nature Discovery Book series. Published by PomegranateKids ®, an imprint of Pomegranate Communications LLC ISBN: 9-780-7649-7936-1 Size: 6-1/2 x 6 inches Hardcover smyth-sewn casebound book, with jacket. 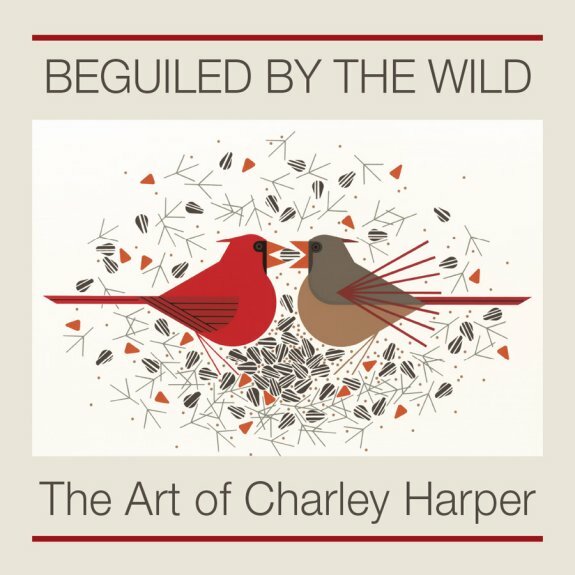 34 pages with full-color illustrations throughout, from Charley Harper's Birducopia; the entire artwork is reproduced, with identification key, on a foldout page at the end. In artist Charley Harper's Birducopia, a wealth of birds, animals, trees, and plants are ingeniously portrayed, creating a complete environment of a woodsy park. Each creature and plant is extracted from the larger painting and silhouetted on the pages of What's in the Woods? The accompanying rhyming text by Zoe Burke imagines a walk through the park, identifying the flora and fauna along the way. The journey ends with a foldout page of the complete image, with a key identifying all the animals and plants. 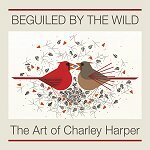 The first in Pomegranate's series of Charley Harper Nature Discovery Books, What's in the Woods? offers a unique opportunity to learn about nature and to examine how an artist interprets its details, beauty, and wonder. Published by PomegranateKids ®, an imprint of Pomegranate Communications LLC ISBN: 9-780764-96453-4 Size: 6-1/2 x 6 inches Hardcover smyth-sewn casebound book, with jacket. 32 pages with full-color illustrations throughout, from Charley Harper's Birducopia; the entire artwork is reproduced, with identification key, on a foldout page at the end.